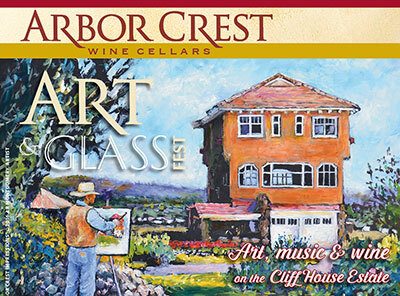 This Saturday and Sunday, August 27 & August 28 from 11am to 6pm both days, enjoy art, music and wine at the Cliff House Estate at Arbor Crest's Annual Art & Glass Fest. There will be over 50 vendors, and admission is free. Artists from around the Inland Northwest will offer a 'shop local' extravaganza featuring beautiful glasswork, metalwork, paintings, jewelry, candles, garden art and other unique creations. On Sunday, the Sara Brown Band will perform from 5:30 to sunset, and there is an $8 cover charge for the concert. Food, wine and beer are available for purchase. 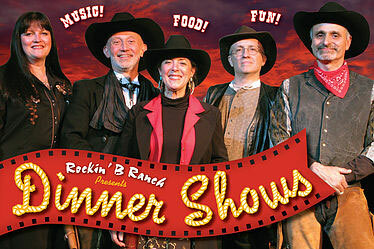 The Rockin' B Ranch will have two of their great Cowboy Supper Shows this Friday and Saturday, August 26 & 27. There are only a few weekend performances left this season. The Riders of the Rockin' B's remaining shows are September 23 & 24 and October 14 & 15. In addition to a great barbecue dinner, the evenings include a hilarious outdoor melodrama, cowboy trail music and more. The Spokane Symphony presents 'Soiree on the Edge: Sunset Serenade' tonight at the Cliff House Estate at Arbor Crest. The evening will be filled with wonderful music, wine, food and an incredible view. Music runs from 7-9pm. For a listing of tonight's musical selections, visit www.spokanesymphony.org. Tickets are available at the Box Office at The Fox, 509-624-1200 and at www.ticketswest.com. The day will kick off at 3pm with the music of the Jesse Weston's Rhythm and Blues Band. A Classic Car Show in front of the Campbell House and a restored vintage fire truck will be on display. The drawing for the winner of an acrylic-on-canvas original painting depicting turn-of-the-century Coeur d'Alene Park by Patti Simpson Ward will be held at 4pm, with a meet and greet between 3 and 4pm. SpoCats, an oldies trio will take the stage between 5:30 and 6:30pm. The finale of the celebration will begin at 7:10 when the sun sets and the movie 'The Music Man' will be shown in the MAC Amphitheater. Beer and Wine will be sold on the MAC Garden near the band. An ice cream truck and the Christ Kitchen Food Truck will provide refreshments. In support of the celebration and to raise funds for Coeur d'Alene Park, some Browne's Addition businesses will offer special discounts to everyone who makes a $20 donation to support the park. A special bracelet for the donors will get the 'deals' at Cannon Coffee and Cone, Pacific Ave Pizza, The Elk, Browne's Tavern and Cafe Capri from September 10-18. The Annual Northwest Bach Festival & Series presented by Connoisseur Concerts is introducing SummerFest Regional Tour with concerts in Walla Walla, Spokane, and Coeur d'Alene, running Friday, August 26 through Wednesday, August 31. 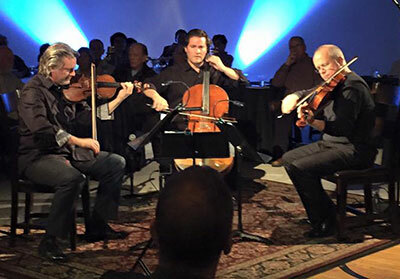 Concerts will feature Kurt Nikkanen, violin; Scott Rawls, viola; Zuill Bailey, cello; Kraig Scott, harpsichord, performing music by Bach, Dohnayi, Schubert and Mozart. Wednesday, August 31, 7:30pm - Concert at Historic Penthouse at the Paulsen, 421 W. Riverside Ave., Spokane. This concert is SOLD OUT. For more information, visit nwbachfest.com. Thursday's 'Patio Performers' concert series continues at Arbor Crest and this Thursday, August 25, Kari Marguerite Trio will perform. Jewelry by Bobbie van Loben Sels will be on display. This Friday, August 26 is the final Friday concert of the summer season, and guest performer is Karrie O'Neill. Music runs from 5:30-7:30 both days, and there is no cover charge. On Sunday, August 28, Arbor Crest's Concerts on the Cliff features The Sara Brown Band. Music starts at 5:30 and runs to sunset, there is an $8 cover. Arbor Crest wines, beer and food available for purchase. Shawn Colvin and Steve Earle performs at the Bing Crosby theater tonight, August 24 at 7:30pm. Ticketswest has your seats at www.ticketswest.com or 800-325-SEAT.